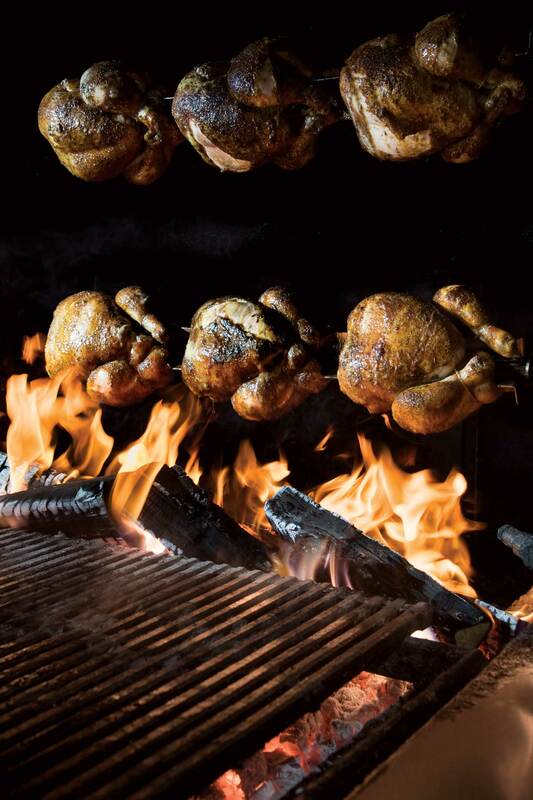 Happy Chickens on the rotisserie at The Nash. Photograph by Jared Sych. FOOD | Expertly prepared comfort food. VIBE | Neighbourhood chic, cool and casual. DECOR | Seamless blend of historical charm and modern comfort. DISH | Whatever the daily rotisserie meat offering is. TIP | On Thursdays, Off Cut features live music by local talents starting at 8 p.m. The historic National Hotel, built in 1907, has come a long way from the days when it housed transient railroad workers and operated as a tavern. After an extensive renovation, The Nash and Off Cut Bar opened on the Inglewood premises in 2014 — an elegantly warm and inviting space designed by Sarah Ward of Sarah Ward Interiors. Pop into The Nash for some upscale comfort food (or a night of live music at Off Cut Bar) inside Inglewood’s historic National Hotel.. Though the room features many nods to the building’s past and the history of the neighbourhood, including sepia-toned photos of Calgary convicts and tables made from reclaimed boxcar wood, the food is very much of-the-moment. Chef de cuisine Paul McGreevy and his kitchen staff make everything from scratch, including stocks, breads, pastries and preserves. 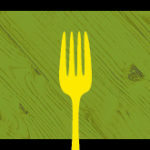 The emphasis is on upscale comfort food, featuring the likes of wood-fired rotisserie chicken, pappardelle Bolognese and a crave-worthy burger that’s not too fancy, not too plain. Just as the food and the interior design complement each other, so does the restaurant complement the neighbourhood of Inglewood. It’s the kind of place where you’re bound to bump into an old friend or colleague, where hipsters and grannies happily co-exist, sharing an appreciation of a well-made cocktail or a grilled cheese sandwich with tomato soup. And hey, if lunch runs long and you lose your motivation to cook dinner, you can always grab a Happy Chicken and some gourmet sides to go.